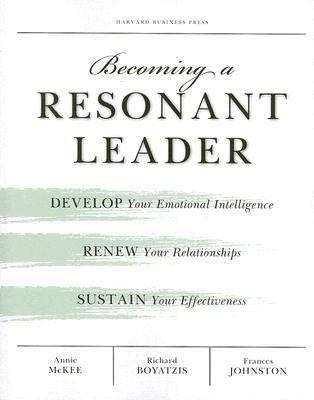 One of the most helpful books I’ve read since my leadership journey began is Resonant Leadership by Richard Boyatzis and Annie McKee. 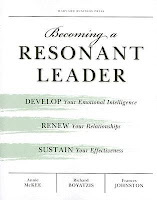 Resonant leaders are aware of and attuned to the people around them. We can see a difference in their leadership approach. They inspire us with their passion for their work and the compassion they show to others. They know the people they work with; they understand them at a deeper level because they understand what motivates them. No one becomes a resonant leader overnight. It’s a process that takes time and deep self-knowledge. We cannot possibly begin to know what motivates others until we know what motivates ourselves. This requires self-awareness and a state of mindfulness, which takes work. Many who aspire to leadership, or who are now leaders, fail to understand this. Many are afraid of exploring deep inside themselves and seeing what lurks beneath the solid exterior they’ve built up. Some like to keep a tight control over their emotional lives and this soul-searching activity seems fraught with emotion. It’s messy. It’s a bit scary. It might unlock and release something about ourselves we don’t want to face. However, if we want to be emotionally intelligent, then we have to go there. Emotional intelligence is emotional maturity. It’s becoming someone who is tuned into what emotions they are experiencing and has the ability to regulate them. It extends to an awareness of the emotions of those around you and then, through empathy and understanding, seeking to maximize this understanding and create great working relationships where mutual respect grows and creativity blossoms. For most of us, this is a work in progress, as is learning to become more like Jesus. 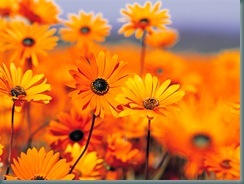 However, part of learning to be like Jesus is learning to have emotional intelligence. “Now that you have purified yourselves by obeying the truth so that you have sincere love for each other, love one another deeply, from the heart” (1 Peter 1:22). This applies to our leadership. Whether or not we work in ministry, business or are a volunteer coach for our children’s soccer league, we are called to love others with a sincere and deep love—especially those we lead. As we seek to know ourselves more deeply, we need to spend time alone with God, seeking to know him and understand why he loves us. As we cultivate a deep understanding of who we are, we will begin to understand others. And then we will begin to lead in ways that create a meaningful experience for those we lead and inspire them to join us on the same journey. Journal each night, reflecting on the day and how you responded to different situations. Asking yourself “why” is a good way to keep digging deeper. Do a 360 degree evaluation for yourself, asking people you work with and for whom you work for honest feedback on your strengths and weaknesses. Find someone you look to for leadership, someone you can trust, and ask him or her to enter into a mentoring or coaching relationship with you. Major Kathie Chiu is the corps officer of Victoria’s High Point Community Church.